Tips For Better Vegetable Garden Planting Before Your Next Home Garden Party! Many beginners wrongly assume that there can’t be too much of a good thing. Water, like fertilizer, should be applied correctly to produce healthy vegetables. Deep watering with sufficient intervals will coax plants to develop deep root systems. In general, a vegetable garden planting needs one inch of water per week. Avoid overhead sprinkling, which can promote fungus and mildew. The ideal watering system is a slow-drip method, as with a drip-irrigation system. If you can’t afford an installed system, water with a hose by moving it around the garden, positioning a slow flow of water at the base of plants. The first step in planning a low maintenance vegetable garden planting is to have home garden plans. Many gardens just evolve over a number of years. Friends give you plants you have to find a place for, and you have moments of inspiration that lead to years of maintenance. If you take the time to plan your garden layout and content as a single paper exercise, you can design-in features that mean you have less work to do and not more. To get a working diagram of the current layout, use Google Earth to get an aerial view of your garden and print it as a base to work from. Use compost rather than chemical fertilizer. It is free and safe. All those eggshells, coffee grounds, and food scraps are exactly what your garden needs. Leaves and lawn cuttings make great compost too. Many home made solutions can replace store bought pesticides. A spray of soap and water will stop aphids in their tracks. A shallow dish of beer will drown dozens of slugs overnight. Ants avoid cayenne pepper. Marigolds are said to keep grazing deer and rabbits away. Ladybugs and praying mantis can be purchased and added to the garden to control pests. Organic liquid fertilizer can also be a good way to go to get your garden to its fullest potential. And hey, what the heck, throw in a yard gnome or two. They have been known to scare off a neighbourhood critter or two. In addition to nutrients, many plants also have differing light requirements, especially as the season progresses. Using containers allows you to move plants from one spot to another, and in some cases can allow you to actually extend the growing season of some vegetables. Spinach, lettuce and asparagus growing are three great examples. While these plants generally prefer the cool, lower light conditions of spring and fall, by moving them into a shaded, cooler area as the season grows warmer, many cool-weather crops will continue to produce long after their ground-anchored cousins have gone to seed. And when it is in its fullest harvest, why not throw a home garden party to share with all your friends and relatives! A Home garden party is a great way to show off your garden and encourage others to begin a vegetable home garden of their own! 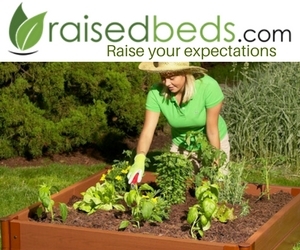 http://ultimategardenideas.com/wp-content/uploads/2017/11/logo.png 0 0 support http://ultimategardenideas.com/wp-content/uploads/2017/11/logo.png support2017-10-21 01:27:552017-11-06 17:11:53Tips For Better Vegetable Garden Planting Before Your Next Home Garden Party! Plants are a fascination to many. Live with them and you will know the sentiments of a plant lover. Plants offer a wide scope for experimenting. They add a touch of class to your homes and can bring about lot of cheer and joy to its immediate surroundings. Have them in pots or in jugs, have them hanging or have them creeping, they are always a pleasure to look at and be with. Apart from flowering plants, green leafy ones too are quite appealing. How about a pine tree in a pot? Let the eyes not pop out! I’ am referring the art of Bonsai. For subsequent weeks now, we will look into the various aspects of mastering Bonsai. It is not a difficult art, but needs ample patience, determination and the know how to do it. Bonsai skills include the knowledge of when and how much to cut the roots, how much fertilizer and water to use and to decide which of the branches need to be pruned to give the plant that aesthetic look. Bonsai is the art of cultivating miniature trees. In Japanese, Bonsai is literally translated as ‘tray planting.’ But today it has grown into a whole new form. It is the art of dwarfing trees or plants and developing them into an aesthetically appealing shape by growing, pruning and training them in containers according to prescribed techniques. Pine that grows tall in the wild, is the most typical plant used for Bonsai. Others can be used as well. Creating miniature plants doesn’t mean that you starve the plants or treat them cruelly. In fact, given an adequate supply of water, air, light and nutrients, a properly maintained Bonsai will mostly outlive a full size tree of the same species. The best way to achieve miniaturization is to frequently transfer the plant into new pots and when doing so trim the roots a little. It is not enough just to plant a tree in a pot and allow nature to take its course. Every branch and twig of a bonsai needs to be shaped or eliminated until the chosen image of your choice is achieved. From then on, the image needs to be maintained and improved by a constant regime of pruning and trimming. Bonsai can be developed from seeds or cuttings, from young trees or from naturally occurring stunted trees transplanted into containers. Most bonsai range in height from 5 centimetres (2 in) to 1 metre (3.33 ft). Apart from pruning and repotting, their branches and trunk are wired so that they grow into desired shapes. A Bonsai tree should always be positioned off-center in its container, for, not only is asymmetry vital to the visual effect, but the center point is symbolically where heaven and earth meet, and nothing should occupy this place. Another aesthetic principle is the triangular pattern necessary for visual balance and for expression of the relationship shared by a universal principle (life-giving energy or deity), the artist and the tree itself. Japanese tradition holds that three basic virtues are necessary to create a bonsai: shin-zen-bi standing for truth, goodness and beauty. With good care, Bonsais can live for hundreds of years, and mostly plant lovers pass them down from generation to generation. They are admired for their age. Although these Bonsais are extremely beautiful it must not be forgotten that they are meticulously cared for over the years and contains a wealth of knowledge about them. Bonsais are ordinary trees or plants, not special hybrid dwarfs. Small leafed varieties are most suitable, but essentially any plant can be used, regardless of the size it grows to, in the wild. Initially in your Bonsai effort, although things may not go as planned, don’t give up. Remember that the Japanese Bonsai masters were once beginners too and they have surely had their share of trials and errors. Overall, bonsai is a great interest, hobby or even profession to undertake. It has a shovel-like blade with hinges and with two handles attached to the steel. You can press the handles together and the blades will be put on the ground. The dirt will be removed when you pull the handles apart. The blades are usually made of steel and you would need to maintain its sharpness so that it can dig effectively. It is painted so that it should not be easily prone to rusting. Ideally it should weigh less so that the user will not have difficulty in controlling it. If you want to have a long-lasting post hole digger, then you should choose the heavy-duty ones. This digger has a strong blade for effective digging. Its handle is made of fiberglass. Some handles are also made of wood. When choosing the best one, you should make sure that the handles are strong and useful. The blades of these diggers are usually big which really works well. All metal post hole digger. They are more durable than the heavy-duty post hole diggers. They are quite similar to the traditional post hole diggers. If you want to dig holes in a ground having stones, then this is the perfect choice. It has lots of moving parts once it is operated. Usually, it is driven down into the ground and the soil is pulled up to make a hole. These are just some of the types of mini diggers that are available in the market. You should do some research on the best digger that meets all your requirements. It should also fit your budget. If you are not keen on doing this kind of work, then you must consider hiring a professional to come in and do this work for you. You then don’t need to worry about buying such equipment. There are many tools that are available to gardeners. Indeed the range can be quite confusing to the newcomer to the hobby who may be uncertain about which tools are needed to perform given tasks. Hand tools are very important for both garden creation and subsequent maintenance. However, the spade, fork, hoe and rake are the most important. Few gardens can function successfully without all of these. Spades are essential for digging, for planting and for removing various materials such as soil and sand around the garden. They are available in varying lengths and weights, some being lightweight and especially designed for ladies. There are two main kinds of spade, the digging spade and the border variety. The latter is narrow-bladed, light in weight and used for general maintenance and planting purposes, while the digging spade is a robust tool which is intended for turning over raw garden soil during fall and winter. Garden forks come in similar variety, there being both border and digging kinds. The border fork is mostly used for pricking over the soil amongst plants. The digging variety can perform a similar function to the digging spade except that it provides only a complete inversion of the soil, whereas the spade can be used for both trenching and double digging as well. Hoes come in a number of configurations and are used to knock down the lumpy soils created by the spade and fork. They are also used for cultivating between plants and rows of plants as well as for taking out seed drills. The Dutch hoe is a flat-bladed tool that is used solely for cultivating while the swan neck hoe is excellent for taking out seed drills as well as mounding-up potatoes. Rakes are usually solid tined and made of metal. They put the finishing touches to soil preparation before seed sowing. Spring-tined rakes and wooden landscape rakes are mostly used for raking up cut grass and fallen leaves, although the spring-tined variety is tough enough to be used as a scarifier. A dummy rake, which consists of a flat board on edge that replaces the tines of a wooden landscape rake is used for grading soil, especially during lawn preparation. Apart from spades, forks, rakes and hoes, most gardeners require a number of smaller complementary hand tools. For planting small plants a trowel is necessary. This is like a much-reduced version of a spade but with a blade, which is curved and bowed. While the trowel may be regarded as the diminutive version of the border spade, the hand fork is the equivalent of the border fork. It is used in confined spaces, such as the rock garden, for pricking over the soil amongst plants. Onion hoes are like large swan-neck hoes in shape but much reduced and with very short handles. They originated in Europe and were first intended, as the name suggests, for using amongst commercial onion crops, not only cleaning the rows of weeds, but also removing crowded plants. Now they are utilized for all hoeing tasks where a larger hoe is difficult to manoeuvre. Secateurs and loppers are essential in the majority of gardens. Secateurs are well-balanced hand cutters which are used in pruning and for cutting back herbaceous plants. It is always worthwhile buying a high quality pair so that they not only last for a long time, but also do a good clean job of cutting. For left-handed people it is possible to buy left-handed secateurs and there is also a design with rolling handles, which are easier for gardeners who have a weak grip to use. Loppers are enlarged versions of secateurs used two-handed. They do all the same things that secateurs do, but on larger branches. They are usually straight bladed, but there are versions with curved blades that are popularly referred to as parrot bills. To complete the array of tools necessary for pruning, there are special small hand saws with narrow blades and coarse teeth that are especially designed for pruning. There are many mechanically operated tools for the garden, but the lawnmower and rotavator are probably the most commonly used. Hedge trimmers are also important along with shredders and chippers. Lawn mowers are available in two basic kinds, the cylinder mower and the rotary type. Both are well suited to specific jobs. Cylinder lawnmowers are used on fine decorative lawns. The more blades the cylinder has, the finer the cut, those mowers used for very fine lawns having as many as sixteen blades. Rotary mowers on the other hand can do a good job of cutting a domestic lawn in a backyard, but with adjustment can be used for much longer grass than might be thought conventional. They are available both electrically and petrol driven. Rotavators cultivate the soil with a series of fast rotating slashing blades, sometimes on a spindle, occasionally on a drum. They are very effective at creating a tilth on sandy or medium loam soils, but on clay soils can often produce a polished pan beneath the surface at a spade’s depth, thereby creating drainage and rooting problems. Most models are driven by petrol engines. With both mowers and rotavators it is wise to have a demonstration in the garden before purchasing. Not all are as good as they at first might appear and they really should be tested under realistic conditions. Hedge trimmers are available powered by a small petrol engine or by electricity. Most of the modern brands are excellent value being of very light weight and in the case of electrical models having built in safety cut-out facilities. They have various cutter bar lengths, the size chosen depending very much upon the configuration of the hedge or topiary to be trimmed. Shredders are available as both petrol and electrical models. These shred garden waste prior to composting. Chippers on the other hand pulverize woody material and are best hired in rather than purchased. Finally we have the most useful and probably most used tool in the garden – the wheelbarrow. A builder’s wheelbarrow is far better than any garden wheelbarrow, unless you are not strong enough to wheel it when fully laden. Modern garden wheelbarrows are fine for pushing a few weeds around in, but the builder’s wheelbarrow is what is necessary for moving soil, rocks or paving. If you decide upon a standard garden wheelbarrow, then choose one of the models with two wheels. These are more stable and resilient than the traditional one wheeled kind. Generally avoid the kind of wheelbarrow where a ball replaces the wheel, unless you garden on very wet, heavy clay soil. They are not very efficient and most gardeners find them quite tiring to use. 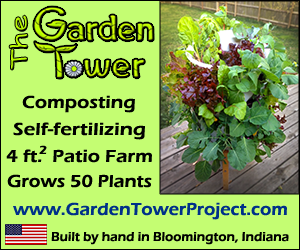 Well it’s that time of year again to start busting up your garden soil and start your planting. How you do that is up to you. If you need the exercise or have a very small garden you could always do it by hand. To save your back and knees you could go with a stand up manual garden till like the famous garden weasel. It is cheap and easy to use. For medium or large gardens you are going to need a garden tiller with a little more power than your arms. So what type of tiller do you buy? If you have a smaller or confined garden you will want to go with something maneuverable like an electric mini tiller or cultivator. Or maybe a small 2hp gas model. Most of them are lightweight and very easy to handle. Cost on them is reasonable too for the amount of work they will save you. One of the biggest pluses for a small garden till is that it uses less storage space. If you buy one with folding handles you can save even more room. A word of warning though, I would not recommend using a small garden tiller to start a new garden where the soil has never been broken up before. You will need something a little more heavy duty to cultivate your soil for the first time. Renting a large heavy-duty garden tiller the first year to bust up your soil and then get a small tiller for maintenance and cultivating the following year. The best purpose for a front tine tiller is maintaining soil that has been cultivated before. Start out the first time with a rear tine tiller. Rear tine tillers are easy to handle and maneuver. They will pretty much turn on a dime when needed and require much less effort from the operator. The majority of rear tine tillers can handle any garden job that you require from them. There are many different brand names in the garden tiller business. Some of the better known garden tiller brands are, Troy Bilt Garden tillers, Mantis Tillers, Honda Tillers, Husqvarna Garden Tillers, Craftsman Tillers, and MTD Tillers. Prices and models vary a lot so the best thing you can do is shop around and compare after you have decided on what type you need for your garden. If you are a vegetable garden grower I recently read a book called vegetable garden secrets that is going to change the way I garden. I highly recommend it. You can find it on our site. Spading fork – This is needed for digging and breaking that compact soil. This tool has a shorter handle to make it easier for you to dig in and break the soil. It has four square tines and a foot rest where you can apply your weight when breaking a highly compact soil, the best material for this tool is cast stainless steel head and a fiber glass or a wooden handle. Hoe – This is needed for cultivating and weeding the soil surface. It comes in different designs: there are those that have a stirrup action and those that are designed thinly for cramped spaces. Depending on your garden you may decide which will serve you better. Consider your planting density when making your choice. Watering can – This is needed for the water requirement of your garden. The longer the nozzle the more control you have with its flow rate. It is best to choose those with a detachable head, good for watering even seedling. Shovel – Choose the square headed shovel with short handle for larger digging projects such as shrubs and trees. This is also perfect for digging plant holes, edging the garden beds, removing weeds and transferring small amounts of earth. Choose the one with a steel head and a foot rest that is right for you. Rake – This is good for raking fallen leaves and for cleaning and leveling your garden beds. This is perfect for removing stones or lumps of soil on your plots. Choose between plastic, metal or bamboo rakes depending on your requirement. They are all sturdy, but bamboo rakes are perfect if you want to clean without harming your seedlings. Garden sheers – Choose one that fits your hand comfortably. This is good for cutting dead leaves, and unwanted branches. 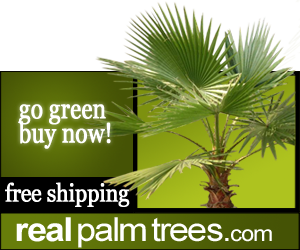 You may also use it for pruning and shaping your ornamental plants. Garden sheers may also be used when harvesting your fruits and vegetables. These six gardening tools will be enough to get you started in your gardening project. Learn the proper ways of handling each tool, particularly the hoe, the spades, and the sheers before you start your project. You may think that using it is common sense, but using it the proper way means lesser chances of accidents. It is better to be safe than sorry. After some practice with your tools, you are now ready for your garden project. If you want to learn how to plant a vegetable garden you are making terrific decision. Planting a year around vegetable garden will allow you to grow enough fresh vegetables for you and your family that you will soon have fresh and organic vegetables on your table daily. Whether it’s to save money or to avoid genetically modified vegetables at your supermarket, planting a veggie garden provides countless benefits. One of the first things you need to know when looking to learn how to plant a vegetable garden is making the most from your the space you have available. You will be surprised how many fresh vegetables you can grow even with limited space for a plot. If possible try and stay away from any trees which can steal nutrients away from your vegetables. Vegetables need plenty of sunshine, look for an area that receives plenty of morning sun. Preparation is the key to learning how to plant a vegetable garden you can be proud of. One of the secrets to growing a great garden is soil preparation, it is critical. With soil preparation you must remove all weeds, avoid any weed killers and remove them by hand. You must test the pH level of your soil, anything around a reading of 6.5 is ideal. If you are unable to test it yourself head over to your local gardening store for testing. Having your soil pH either too high or two low will restrict nutrients to your vegetables. Garden lime is commonly used to bring up low pH soil levels. Dig the soil over and look to get to depth of about 30cm (12″).You should allow 4-5 weeks before you begin to plant any vegetables. Now you might be asking what vegetables you can plant? This will be dependent on climate zone so speak to your gardening store about the ideal vegetables for your area. You can pick up seedling for a great price and begin planting after your soil preparation. The key to learning how to plant a vegetable garden from scratch picking the right vegetables that you can rotate year around to help eliminate pests and disease problems. Organic fertilizers such as animal manure and garden composts are fantastic for providing nutrients to your vegetables as well as improving soil conditions and structure. Organic fertilizers help retain moisture which is very important. Watering your garden is important but try to ensure it doesn’t become waterlogged and allow for proper drainage. Want to learn a step by step guide on how to plant a vegetable garden properly? Herb gardening has swept the country. According the National Gardening Association over fifteen million people grow herbs. An easy fast growing herb to add to your repertoire is garden cress. It is a peppery tangy flavored herb that is easy to add to anyone’s home garden. Here are some steps that you can follow to ensure the success of the garden cress that you grow at home. A lot of herbs are grown by themselves in a “herb garden”. But it doesn’t have to be this way. Garden Cress makes a great companion plant to bush beans, beets, carrots, lettuce and spinach to name a few. So keep that in mind when planting. The seeds of garden cress are small, so when you plant them a light covering of dirt is all they will need. Garden Cress seeds will germinate in as soon as 2 days and as far out as 6, so as you can see they grow quickly. Garden cress likes the soil’s neutral pH to be as close to neutral (7.0) as possible. Test your soil with a home testing kit, available from any garden or home center for just a couple of dollars. Follow the instructions that come with the kit to raise or lower your soil’s pH level as needed. It likes full sun so pick a spot that receives the most sunlight and if you have an indoor herb garden, make sure you pick a window sill that receives sunlight first thing in the morning. As for watering, garden cress does not need much. Just keep the soil moist with moderate watering and you will be ok. Your plants are ready to be harvested when they reach two to three inches in height. Simply cut them at the soil line with garden scissors. If you follow the steps above you should have no problem harvesting your garden cress in as little as two weeks. Do not let them grow to long as they could develop a bitter taste. As you can see you should be able to add this wonderful tasting herb to your garden in no time and with very little effort. 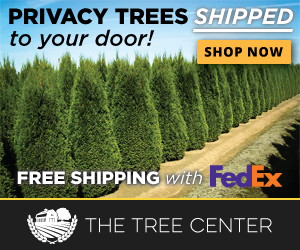 Lowest Prices on Fruit Trees, Shade Trees, Flowering Trees / Shrubs and More!